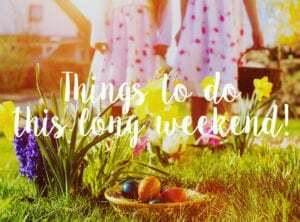 Need ideas for entertaining the kids on a rainy day, or when you have to stay indoors with the family to escape The Haze in Singapore? If you’ve lived in Singapore for a while, you’re probably well acquainted with its temperamental weather. As much as we love this island of (mostly) sun, sand and sea, when it rains, it absolutely pours. And don’t let us get started on Haze season in Singapore – we’re currently taking all precautions to breathe easy. 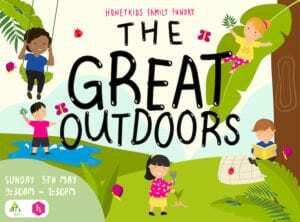 But don’t admit defeat just yet – if you’ve already exhausted staying in with a good read from or list of favourite children’s books and your kids are itching for some action, we’ve come to your rescue again. From mini golf and laser tag to museums and ice skating, we’ve rounded up a guide to funtastic indoor venues for countless hours of fun. 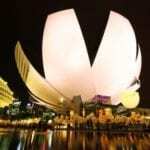 The architecturally gorgeous ArtScience Museum has many exciting exhibitions to thrill the kids. My Tree House at The National Library's kids' area is a whimsical haven for bookworms. Kids always love the Singapore Science Centre. Bring your kids for a high-energy experience indoors at AMPED Trampoline Park. 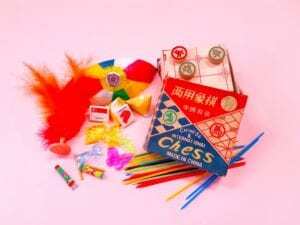 Practise that swing and marvel at the miniature figurines of Singapore icons at Lilliputt. Battle it out laser-tag style in the indoor arena of ECP Parkland. For an alternative cinema experience, check out The Projector. This hip cinema also screens movies for kids. 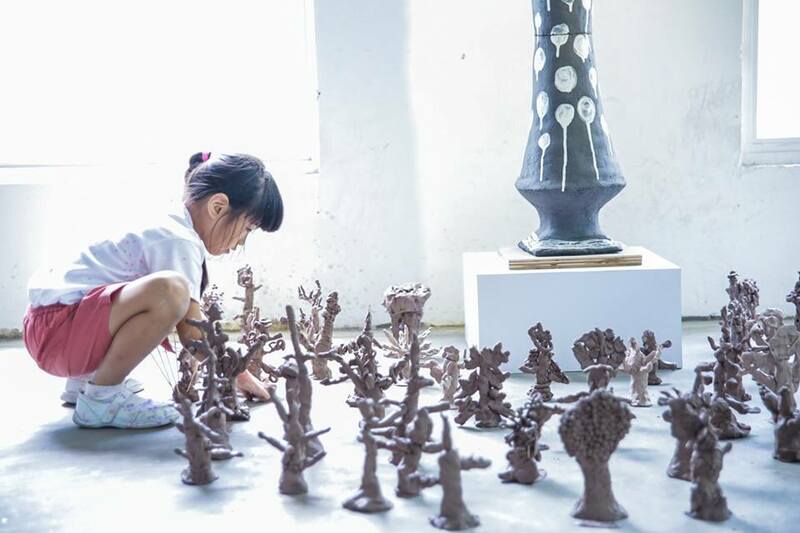 This all new hotspot for creative learning is the first of its kind in Asia – it’s dedicated to creating impactful and open-ended learning opportunities for children from one to 12 years old. 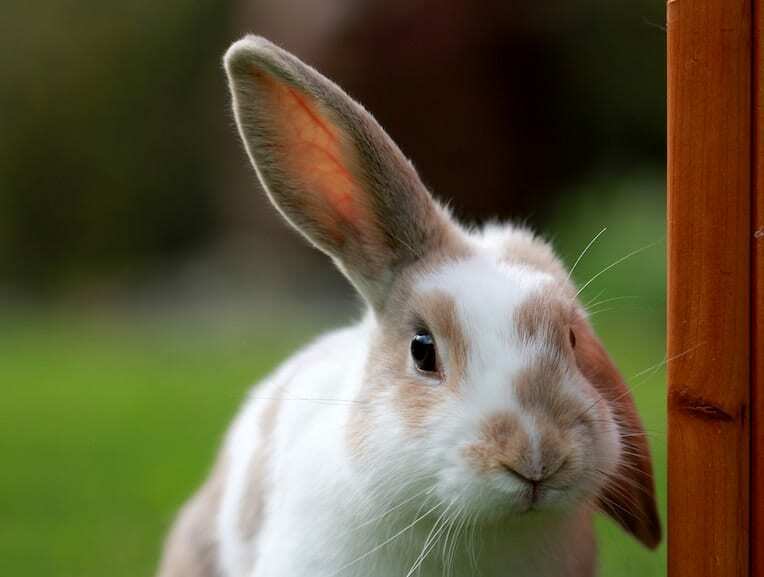 Playeum’s second exhibition, Hideaways-Creating With Nature, helps young minds to discover and explore sounds and textures from nature – and encounter some of the creatures who share this world with them! 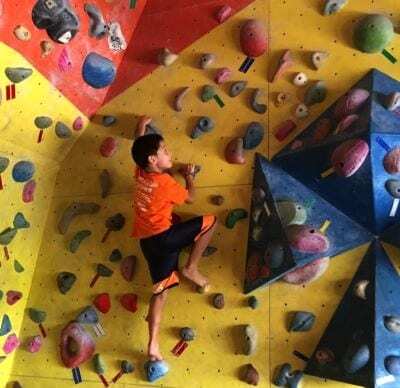 Thank goodness for all of Singapore’s amazing indoor play centres – how else could the kids blow off some steam when it’s too hot, hazy or rainy? Energizer bunnies will have a rolling good time at JWT Kids Gym in UE Square where they can jump, swing and climb around the soft gym, while mini explorers will be inspired and challenged with fun obstacles and soft landings at Happy Willow (there’s even a Book Burrow for when your kids need a spot of alone time). 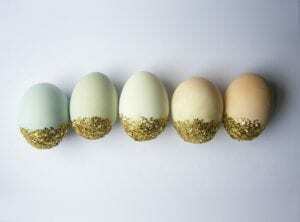 Want to find a place near you? 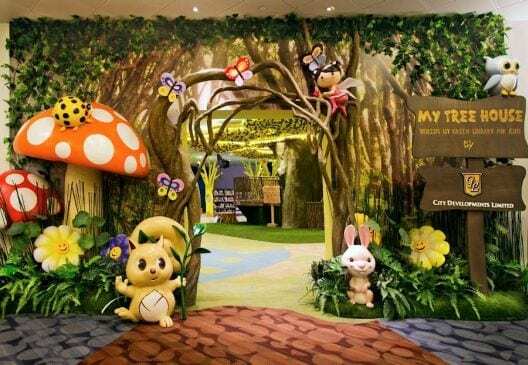 Check out the HoneyKids guide to Singapore’s best indoor play centres. No longer a dreary, dull spot, libraries in Singapore are – dare we say it – cool. With chill-out zones for lounging with a stack of classic children’s books to discover, WiFi, storytelling sessions and inhouse cafes, we suspect your kids might leave kicking and screaming. From board books for bubbas, to preschool picture books and tween titles, Singapore’s libraries have everyone (and not just English speakers) covered. The Central Public Library in Bugis is exemplary. We absolutely love My Tree House in the children’s section: in this beautifully designed space that was designed from sustainable materials, kids can learn about the environment, join weekly storytelling sessions and enjoy shadow play by The Knowledge Tree. It’s a place where book loving kids can really feel as though they’ve stepped into a literary wonderland! Got a future Einstein on your hands? 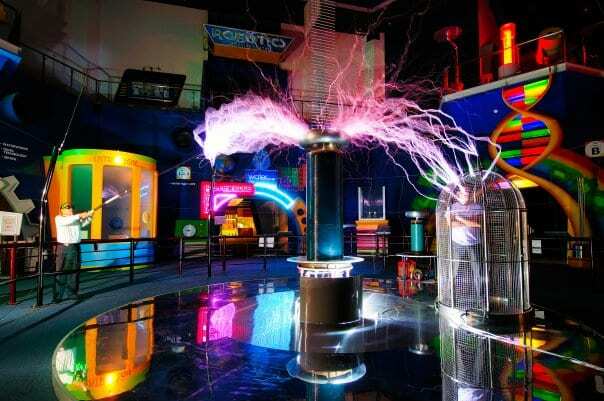 The Science Centre has over a thousand interactive exhibits spanning 14 galleries – your little scientists can trek to the centre of the Earth to discover its hidden layers, or power an engine with just the heat of their palm. 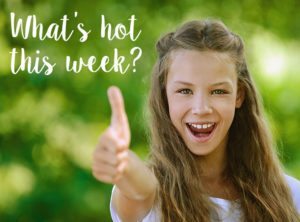 Daily shows and demonstrations make for a thrilling experience – watch a fire tornado safety demonstration or catch an exciting documentary at the five-storey dome theatre at OmniMax Theatre (located next door at the Discovery Centre). Make sure you also get a chance to flutter over to the new Butterflies Up-Close exhibition where the kiddos can find out all there is to know about the caterpillar to butterfly transformation process with interactive displays, fun activities and a visit to the on-site vivarium. Who says you need to be outdoors to experience the joys of marine life? 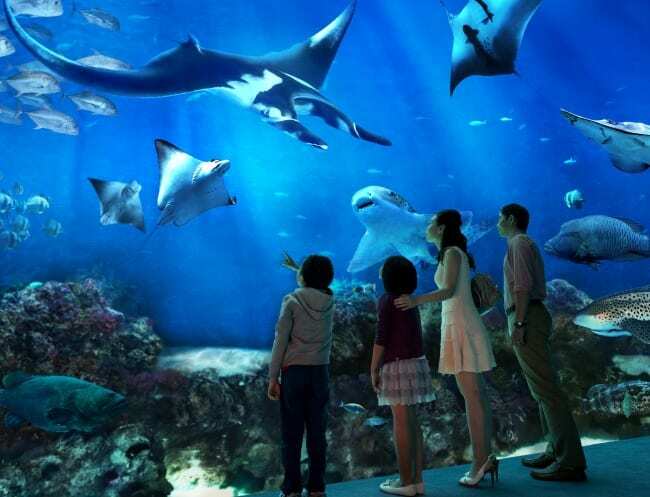 Immerse yourselves in the magical underwater world at the S.E.A Aquarium, which is home to over 800 species of marine animals. Come face-to-face with sharks and uncover the truths behind these awe-inspiring creatures, spy on moray eels hiding in their rocky crevice (fans of The Little Mermaid will recognise these creatures as the wicked helpers of Ursula the Sea Witch!) or tour the underwater reef community. 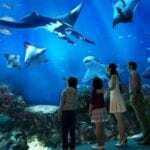 At Underwater World there are heaps of opportunities for interactive encounters with sea life and learning about conserving the marine world. This is the most appealing option for when you need a break from the scorching heat. We guarantee that it’ll make a hilarious trip for the entire brood. 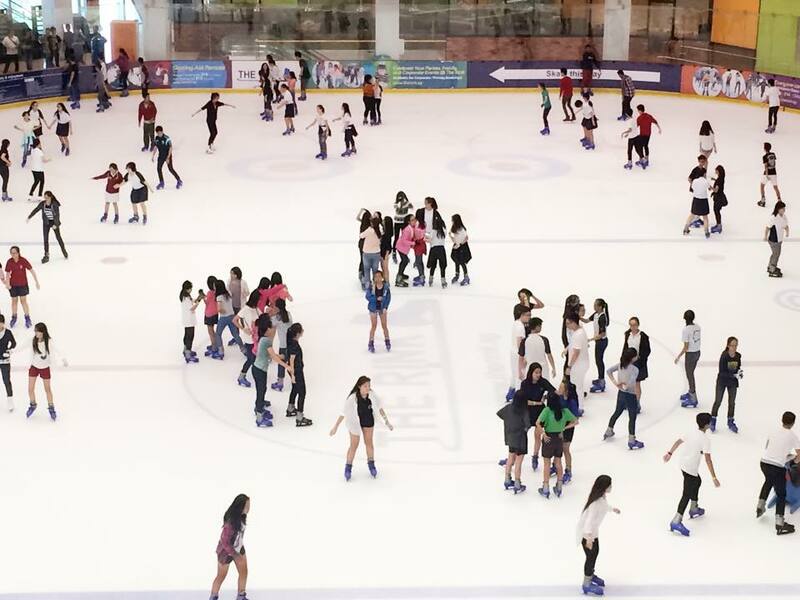 Leisure Park Kallang’s Ice World is a fave for strapping on those skates and busting out those graceful moves on the rink… or, in our case, not-so-graceful moves. 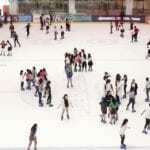 Jurong East’s The Rink is Singapore’s first olympic-sized rink complete with a viewing gallery. Make sure to check the schedule at The Rink as public skating sessions run in two-hour blocks. We say it time and time again, but sometimes we can’t believe how we lucked out with the many great museums in Singapore. 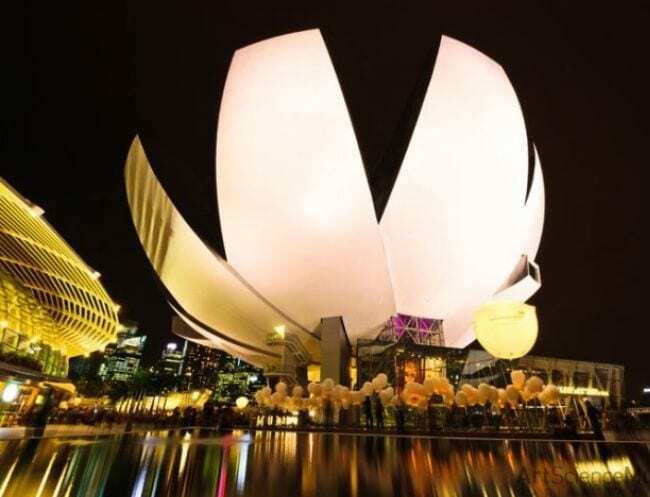 From the highly interactive National Museum of Singapore to the architecturally stunning ArtScience Museum, these museums are chockfull of art and craft corners and activities so your kids are in for an afternoon of fun and solid learning about culture, history and art. 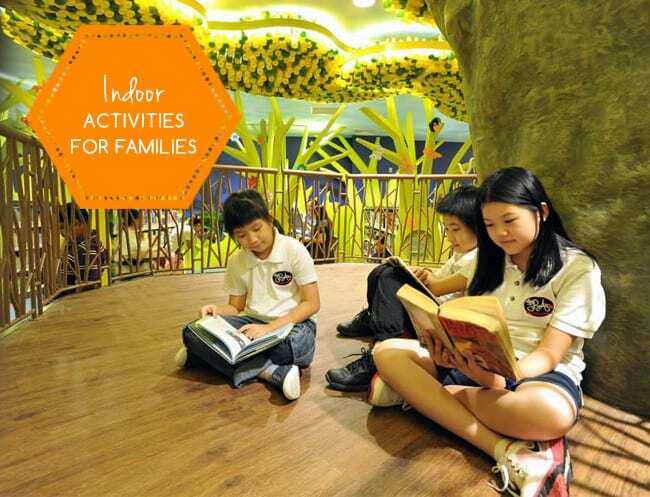 For more information, check out the HoneyKids guide to museums for kids in Singapore. Need to let the kids burn off some serious energy? AMPED Trampoline Park will have your junior jumpers literally bouncing off the walls all afternoon. 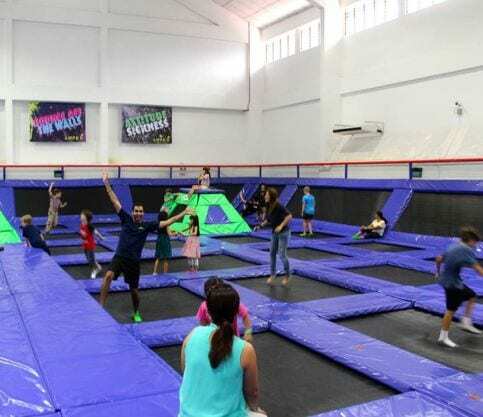 Spanning more than 5,000 square feet of interconnected trampolines, the trampoline park allows you to dive into a pit of soft foam cubes and do backflips with a secure and soft landing and hurl yourself. 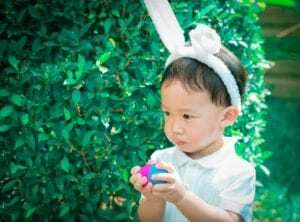 And if your family becomes firm trampoline fans and you want to get one for your own backyard to use on clear, sunny days, check out our guide to buying trampolines in Singapore. 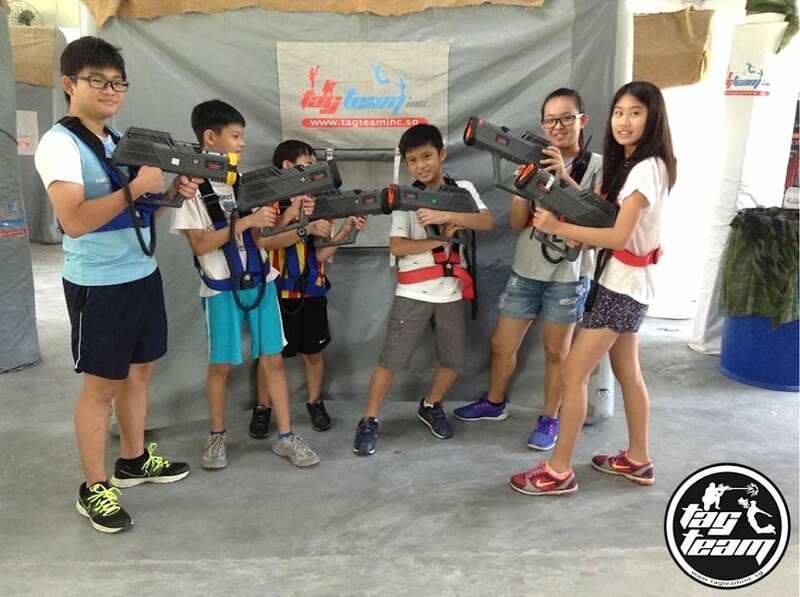 Tag Team’s indoor laser tag can be played at ECP Parkland and Downtown East where the military-themed Battle Zone incorporates the use of the Cobras (a a laser gun weighing 2.5kg) in an play area that may not be air-conditioned, but provides ample shelter from rain or shine. 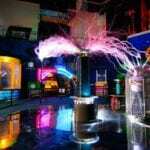 The Mystery Room is a sci-fi themed area suitable for children as young as four years old, as the Scorpion gun used weighs less than 1 kg. 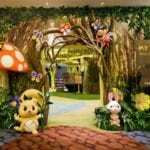 See all of Singapore’s major landmarks in 18 small holes at this indoor mini golf complex. Future Arnold Palmers will be challenged with lots of obstacles and moving parts as their ball braves a ride on the MRT, to the Zoo and on a Cable Car set to animation and special effects. Bring your socks and take a swing. 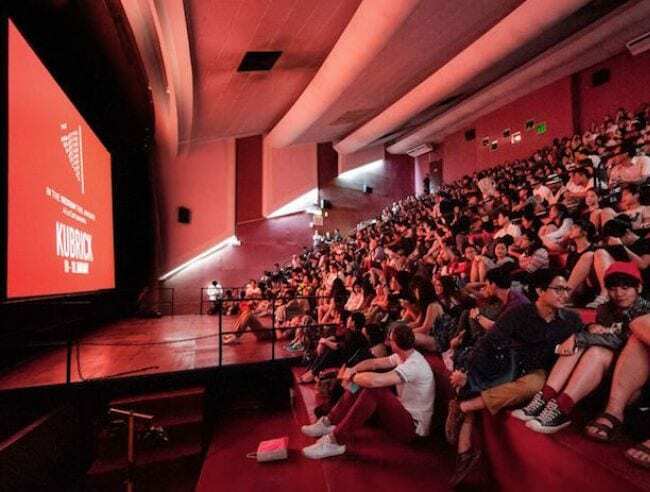 Bringing your kids to the movies is a no-brainer on days when you need to hide out indoors, but for a quieter experience, we suggest checking out an alternative picture house instead. For starters, Alliance Francaise holds monthly Cine Kid sessions so your kids can immerse themselves in French culture. The Projector may be a painfully hip cinema, but your kids can muscle in on the action too. Follow The Projector’s Facebook page to be notified of its screenings – this month you can bring your kids to see Tintin-meets-Miyazaki! 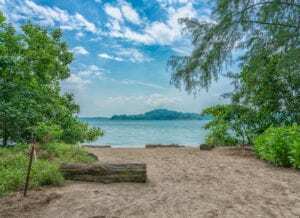 The surprise family faves: Changi Airport and Downtown East! 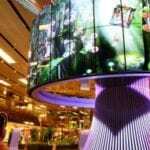 Unlike plenty of airports around the world, Changi Airport is a destination in itself. 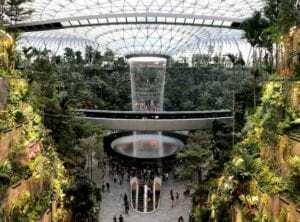 Whizz down Singapore’s tallest slide at Terminal 3, make woodblock prints of popular cultural icons and observe aircraft and ground operations on the tarmac of the Changi Aviation Gallery. 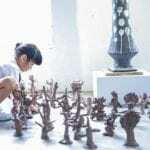 For a lifestyle and leisure family destination, Downtown East has heaps of activities for the family. 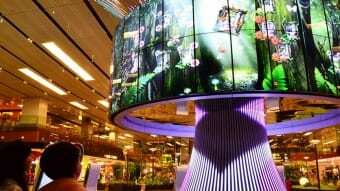 Catch a movie at Cathay Cinema, compete for the best score at Orchid Bowl or let your kids go nuts at the fun and challenging play stations at eXplorerKid.